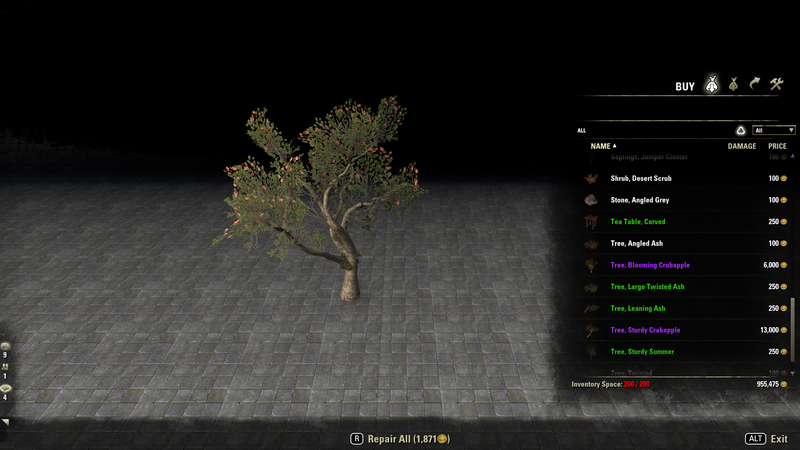 This addon allows you to preview items such as armor, weapons, furniture and furniture recipes. Simply click on the item to preview it. The addon works anywhere in the UI. 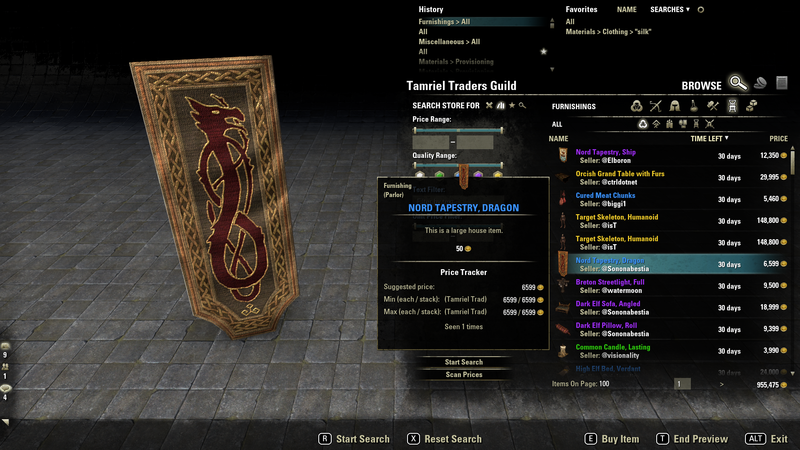 You can preview items from the trading window, the inventory, the mail window, the guild trader etc. You can also preview furniture and recipes when right clicking on an item link (eg in the chat) and selecting "Preview". - fixed a bug where the /previewarmor toggle would not work outside the inventory screen. Does anyone know of an alternative to this amazing addon? I feel lost without it! Thank you so much to the dev for such a useful addon. I only hope someone will take up the banner and continue work on a similar addon. Need Someone to Pick This Up! Really need someone to pick this project back up... There's gotta be someone who knows how to update this so it works with the current build... We'd all be ever so grateful! Any alternatives until this hopefully gets updated someday? Last edited by XashDE : 03/10/19 at 10:34 AM. ItemPreview does not work with active AwesomeGuildStore on the search tab. Tested in Wrathstone: Furniture preview works, but armor and weapons do not. Item Preview doesn´t work anymore when Perfect Pixel is active. I posted it there as well, since i have no clue who´s "fault" it is. 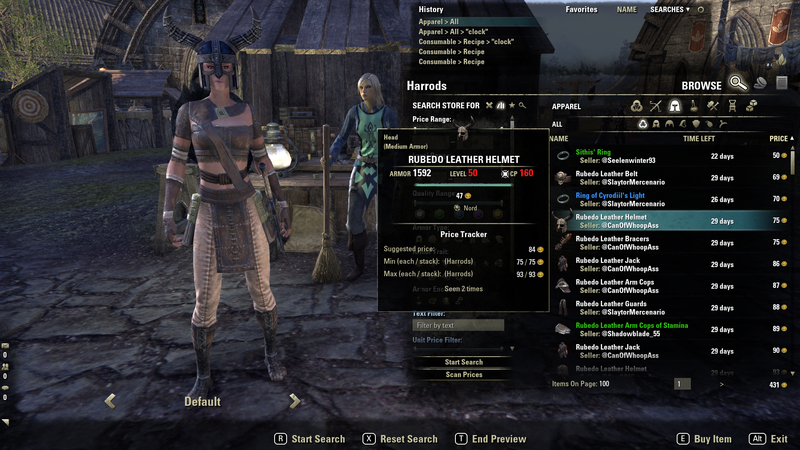 Does anyone know if this addOn allows you to preview costumes in your inventory? Once you add a costume it seems you cannot preview ones you later acquire. Are there any plans to update this with Murkmire items? This is a great addon; really useful. Thank you for your work! As I am playing on a tripple-monitor setup, I have the problem that, in some situations, the previews are placed right behind the UI. This happens especially in the guild store. In inventory or bank, all is perfectly fine. Is ist possiple to add some placement-option to this addon, such to be able to move the previews left or right? That would be of great help. Looking for an update. I've noticed that I physically get stuck in a preview window after previewing items via this addon (as opposed to the game integrated preview at merchants). If I'm lucky I'm at home and can just open the housing editor to bounce out of it, but otherwise I have to try a variety of tricks such as 1. porting somewhere, 2. leaving group (when in dungeons or trials because I'm unable to port), or 3. reloading when the previous tricks fail. Since most of the time I'm previewing furniture or blueprints that aren't at a merchant/trader, this happens pretty frequently for me. This issue only started with the last update. Last edited by Sorceress99 : 08/15/18 at 12:40 AM. Ty for this addon, but it seems it prevents me from opening crafting bags from the daily? EDIT: Strange they seem to work properly now. Last edited by Atavus : 07/07/18 at 04:27 PM. Re: Re: Re: why combine? This addon does not integrate Crafting Preview. The toggle not working should have been fixed with update 1.12 three months ago. edit: the new update added a typical settings menu. for some reason the armor toggle doesn't work when used from the menu. it does work via chat command though. will fix the bug now. Great, I will give it a try! Thanks Shinni!